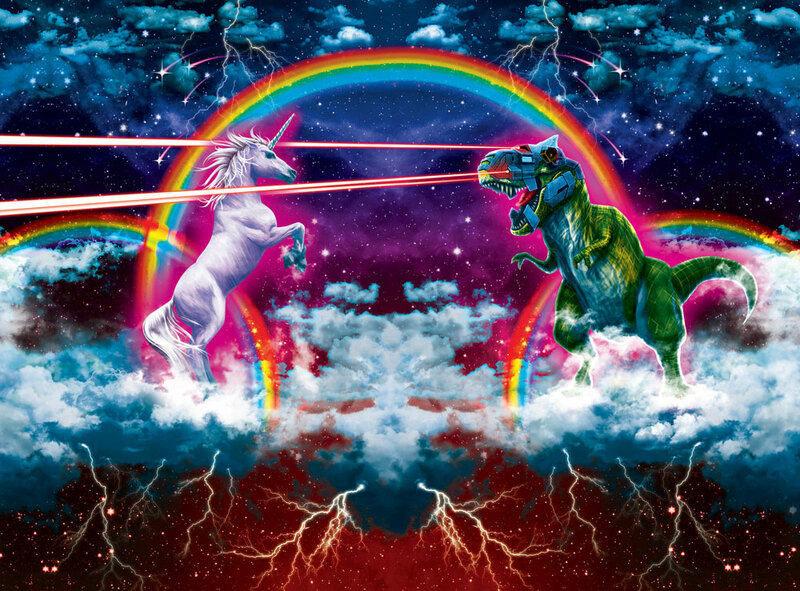 When James Lillis (the owner of Black Milk Clothing) asked me for a design with a realistic unicorn I suggested a battle between a unicorn and a T-Rex. Lisa Frank's cartoon hypercolour designs were very popular amongst the girls in my 90's primary school classes. Knowing that my peers had now grown up, and were our customers, I aimed to evoke her style in a mature fashion. Through the development process the T-Rex became weaponised and the battle was placed in space. This design was released in 2013 before peak rainbow and unicorn, and as a testament to this, the leggings made it to the front page of reddit once released. The design became is a Black Milk staple for five years before being discontinued.